For one reason or another I haven't managed to get a new outfit on the post for a while now. I have lots of new clothing to show you but no time to photograph it! 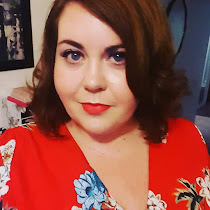 Today though I managed to grab five minutes to show you my new Spring dress from Joe Brown at +Simply Be As soon as I saw it in the new Joe Brown collection I knew it had to be mine. The floral print is something that I love to wear and the shaping of the dress is just right for the style I like to wear. Today has been the usual wet, windy and cold but I have had absolutely had it with Winter clothing and am moving to Spring, whether the weather agrees with me or not. Your blog is very cool ! I love it !